SMITHS FALLS, ON – Inside Ottawa Valley reports that the first brewing company in Smiths Falls officially launched last month after several years of planning and test runs. 4 Degrees Brewing has been co-founded by Nick Ritchie and Andrew Howard, with Joe Adams and Chris Haines on board as co-owners. 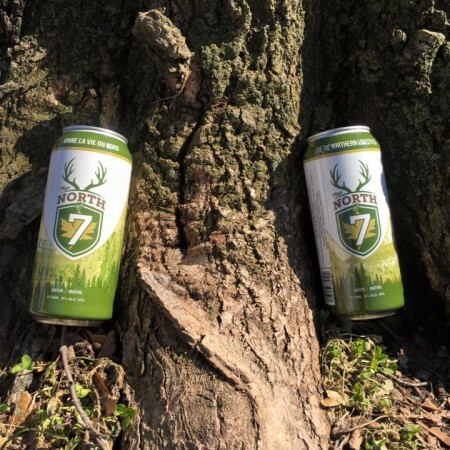 4 Degrees has a pair of flagship brands – True North of 7 (“an easy drinking Helles Lager with subtle hoppy flavours and a crisp finish”) and True South of 7 (“bolder in flavour and colour with Amber hues and a smooth caramel flavor” – that are currently being produced at Taps Brewing in Niagara Falls while the partners for a location closer to home. 4 Degrees beers are currently available at select bars and pubs in the Smiths Falls. For more details, see the brewery’s Facebook page.